I love Korean food and all of the small tasting dishes, so when a friend took me to this little gem, I had to give it a shout out. Tucked away in a strip mall in St Matthews, it's easy to miss and the fact that it's a few doors down from Havana Rumba doesn't seem to help. However, the food is amazing and very affordable. The dining experience begins with the lovely staff who are truly friendly and pleasant. They seat you and then bring out 6-8 little dishes of various kimchis, tofu, veggies and nuts. Its a nice touch and free. Additionally, they are happy to give you a refill, if you ask them. I can highly recommend the Hot Stone Bibim Bab, which arrives at the table in a howling hot stone dish. 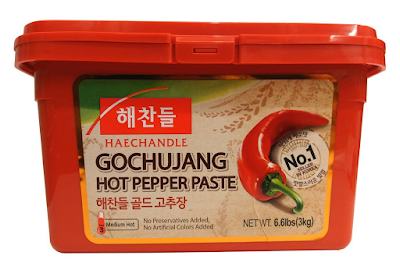 When you add the gouchujang, it's a flavor blast. Think of gouchujang as the quintessential Korean condiment. I'm going to do a posting on just gouchujang, as it is so versatile. The mandu and noodles are also good as is the old Korean stand by of bulgogi. Most every dish can be prepared vegetarian and I found the menu to be well put together and extensive. The highest praise I can give, is on most every occasion, the restaurant has been packed with Korean families and I personally think that is always a good sign. Give it a visit and I'm sure you will be back.